When you first move to a house or flat in a new country, we all know the expenses can pile up quickly. So, cutting down on the price of necessary items around the house is a great way to save money for any unexpected expenses. Whether you are first moving in or have been living for a while in your residence, it is worth checking to see if you have energy efficient lighting in your home. 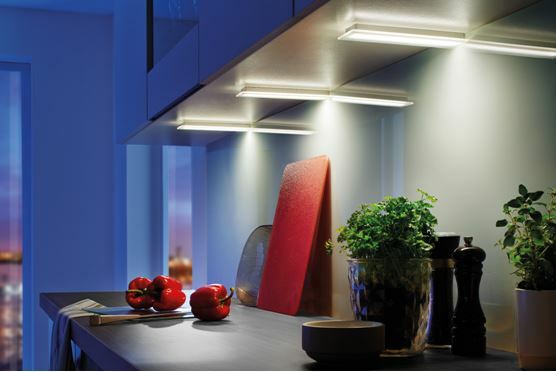 Simple solutions like motion sensor lighting for outdoor lighting from lights.co.uk, and led strip lights can cut down on energy costs and make your living space more environmentally friendly. Ensuring your lighting and appliances are energy efficient and environmentally friendly can result in big savings when you receive your monthly bills. You can also sleep better at night knowing you are making less of negative impact on your new country. It is also worth the time to do price comparisons on energy providers in your area. The government offers a variety of comparison tools to make the best choice, and even if you are unhappy with your current provider, there may be a cheaper choice out there. In the colder winters, Australians are often tempted to crank up the heat, but investing in a good blanket or two might be a smarter financial choice than cranking up the heat during the winter. In an unfamiliar country, it is easy to fall into bad shopping habits for the sake of convenience. Even though the Waitrose is two streets down, it probably is not the cheapest place to do your shopping. On mysupermarket.co.uk, you are able to find discounted items, compare prices and view supermarket prices across 15 stores. You can also make your supermarket basket on the site and see at which chain it is the cheapest. You can also peruse your local grocers to see if they have any items cheaper than the brand-name shops. Local markets can also be a great solution to cutting down on costs as you can browse for a while and find the best prices on fresh produce, dairy, and other foods. Increasing your network of connections and friends has many benefits, one of them being you have someone to call for a helping hand. If you are moving to a new flat or house, buying beer and pizza for some helpful friends is a much more rewarding experience than going through a moving company. It also might be handy to find a friend with a smattering of useful tools to carry out DIY repairs. Further than looking to exploit friendships for labour purposes, getting to know those around you can feed you with ideas on better ways to live and save money. Locals will be more familiar with where you can find the cheapest deals, and other expats will know how to save money on pesky bank fees, visa issues, and other problem that can arise.